Think of carpet as a piece of fabric that has to be cut to fit your unique space. Most often constructed in 12-ft wide rolls which means that larger or irregularly shaped rooms will require seams. The placement of seams is important and most retailers will take care of this for you. If you’re concerned, speak to your retailer and ask to review the layout before the installation. Whenever possible, keep them in less trafficked areas. 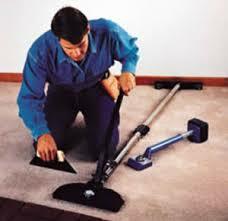 Generally, carpet seams are invisible after the installation. Nevertheless, they should run perpendicular to windows to avoid reflecting light which can increase their visibility. Patterned goods and looped carpet products are more prone to showing seams - this is where professional installation can really make a difference.